After deciding to buy gold there are two main ways to gain access to the asset. First, you could buy physical gold bullion, or second, you could purchase paper gold investments like futures contracts, mining stocks, and gold ETFs. This article will break down the two top-level classes of gold investments, and discuss the relative merits and demerits for each. Many people choose to hold physical gold bullion in the form of bars, coins, or rounds. To a certain extent their choice is dependent on their budget, or investment capital. Bars are the closest to the spot price of gold, meaning low premiums above the gold value contained. Rounds are also relatively low mark-up, but attract more of a premium than bars as rounds are rarer in gold than in silver. Coins tend to have some extra collector value, and, therefore, are slightly more expensive. 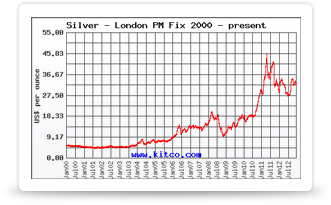 Of course, buying physical bullion involves other cost implications, such as delivery/pick-up, storage, and insurance. It’s important to ensure that your gold portfolio is kept safe and secure throughout your possession cycle, which is one disadvantage of physical holdings vs. paper investments. Popular producers of gold bars include Credit Suisse, PAMP Suisse, and the Perth Mint. The most popular sizes of gold bars range from 1 gram to 10 ounces, however larger bars such as 1kg or 400 oz good delivery bars also exist. These bigger bars are generally held by governments and central banks, as the capital required to purchase a kilogram or larger gold bar is quite extreme. The bigger bars you buy, the lower the price above spot you will end up paying as the refining costs are marginalized relative to the gold’s worth. Coins are available in different forms, each originating from a different government mint. There are some very well-known gold coins, such as the American Gold Eagle, the Canadian Maple Leaf, the South African Gold Krugerrand, the Sovereign, the Brittania, the Kangaroo, the 250 Maloti Coin, the Chervonets, the 50,000 Ruble Coin, the Austrian Philharmonic, the Brinelli, and the Panda. When coins are shipped from mints, they can be bought in monster boxes, much like silver coins. However, you are likely to pay around $820,000 for such boxes of 500, so they are far less affordable than the silver monster boxes and are in the exclusive realm of those with a very serious investment agenda. Paper investments provide the opportunity to gain exposure to gold without actually physically holding the gold. Some investors prefer the lower transaction costs and absence of risk of theft, while others steer clear of paper investments as you have no gold in hand in a true financial crisis. Gold futures provide the ability to trade a future gold price by taking a position in the present. Two parties agree to transact at a specified price at a specified future date, and the investment runs on a daily basis until that point. The purchaser will have to pay an initial margin and also maintain a margin in order to remain in the investment. This currently stands around $11,000 for a 100 oz gold contract, but it provides the opportunity to levage one’s position by up to around seventeen-fold. Essentially, if the price of gold falls against the investor, capital would be taken from the investment margin, and if they lose their position through the loss of this margin, they will either have to re-credit or lose out. These are high-risk investments and are for serious traders who know what they are doing. They are regulated and run by exchanges such as COMEX to ensure both sides of every agreed upon trade. Although, gold should in theory change hands at the expiration of the futures contract, generally positions are covered off beforehand so no physical gold is passed between parties. With trusts, it’s possible to buy allocated gold or unallocated gold without having to take physical delivery. Allocated gold means that the investor owns specific pieces of physical gold, which is held for them in a depository. With unallocated accounts, the investor holds part of a fund that may be used by the holding institution for their own investment purposes. Allocated funds are much safer, because the gold is not at risk and is simply being stored for you. Unallocated is cheaper, with low or no handling and maintenance fees, but if there is a run on gold, then the holding company may not have enough for all of the investors to take physical possession of their gold. With unallocated gold, there may be costs associated with producing the gold in a form that can be taken by the investor, such as rounds or bars. Gold Exchange-Traded Funds are traded on a number of stock exchanges including Mumbai, London, Paris, Zurich and New York. ETFs offer a way for traders to electronically gain access to the price of gold, and are often used to hedge a portfolio that is exposed to the USD. Different ETFs have different structures, and it is important to study the fund’s prospectus if you are looking to trade an ETF. The benefits of this type of Gold investment are that there are low fees and there is extremely high liquidity, meaning traders can get in and out fast and take profits. The downside is that the investor does not actually own any physical gold. Even when cashed in, ETFs provide “cash” not gold. They are therefore not the choice for investors looking to build a gold portfolio. They are the realm of traders looking to profit from knowledge about the price of gold. Paper Investments: Best for Traders and IRAs? Paper investments tend to defeat some of the purpose of investing in gold as a currency hedge or buffer against a financial collapse. Essentially, all you are holding is a piece of paper pointing towards the gold you own. In paper investments, it is allocated trusts that provide the closest to physical ownership, but you still do not actually hold any gold in hand. It is possible to hold allocated gold in an IRA and have it stored at a depository until the first drawdown is taken. This is a big benefit of Trusts. EFTs are primarily for “traders” rather than “investors” and are not normally the realm of those looking for a “gold investment”. Companies like Rio Tinto and Johnson Matthey do a large portion of their business in gold and other precious metals. Investors seeking to gain access to gold could choose to trade the price fluctuations that are present in mining stocks such as these. Obviously, there are other considerations (such as the structure of the company, the geographical coverage of mining activities, political situations in mining areas, other business activities) but prices are generally correlated to the price of the commodities being mined. It’s possible to gain access to gold in different ways, and the gold investment you choose will be heavily dependent on your budget and your investment goals. The most popular gold retail investments are through the purchase of bars or coins on a solid retail investment site such as JM Bullion. To learn more about this company be sure to read JM Bullion shopper approved reviews. Buying this way provides the possibility to access gold in relatively small quantities and invest on a regular basis, while maintaining actual possession of your investment to assure your safety and financial security.